ISLAMABAD: Teenagers are spending the biggest chunk of their ‘budget’ on eating out in fast food restaurants with their friends and colleagues in the twin cities of Islamabad and Rawalpindi, according to a report aired by a private news channel on Saturday. As the fast food business flourishes all over the country, school-children, college and university students, as well as young employees, are opting to have their lunch at restaurants that sell junk food. In a habit that was once only associated with the upper middle class or the elite in Pakistan, dining out has become part of a new ‘urban culture’. With the changing habits of our youth, people have also witnessed a boom in the food business, as international fast food chains set up shop across the country. The change started in the late 1990s, when people from every class, especially young girls and boys, were to be seen at eating spots almost daily, the report reveals. The social media revolution has also had an impact on the eating habits of millennials, as many ‘online profiles’ are used for uploading pictures in which young people can be seen hanging out, or having a meal, with their friends. “Almost every restaurant in the twin cities is filled to capacity all day, every day. This signifies the overpowering likeness people have for fast food in Pakistan,” the report observed. Ayesha Ahmad, an 18-year-old studying at a local institute, told a reporter that she believes exam week is generally considered the most stressful period for a student during a school year, and that is when they feel the need to relax by having a good meal at their favourite restaurant. 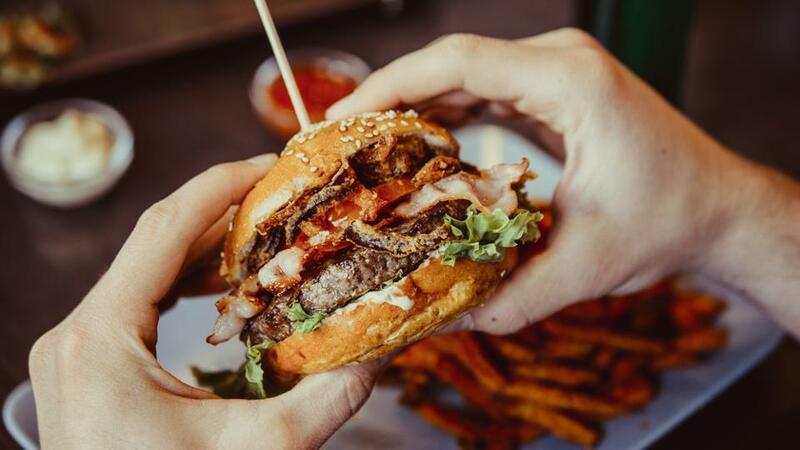 A recent study at the University of Bonn in Germany detailed that fast food makes the immune system more aggressive in the long term, and even after a change to a healthy diet, the body’s defenses remain hyperactive. These long-term changes may be involved in the development of arteriosclerosis and diabetes, diseases linked to Western diet consumption. A previous study said that consumption of fast foods more than three times a week was significantly higher among asthmatics. The scientists placed mice for a month on a so-called “Western diet”: high in fat, high in sugar, and low in fibre. The animals consequently developed a strong inflammatory response throughout the body, almost like after infection with dangerous bacteria. “The unhealthy diet led to an unexpected increase in the number of certain immune cells in the blood of the mice, especially granulocytes and monocytes. This was an indication of an involvement of immune cell progenitors in the bone marrow,” Anette Christ, a postdoctoral fellow in the Institute of Innate Immunity of the University of Bonn explains. Fast food thus causes the body to quickly recruit a huge and powerful army. When the researchers offered the rodents their typical cereal diet for another four weeks, the acute inflammation disappeared. What did not disappear was the genetic reprogramming of the immune cells and their precursors: Even after these four weeks, many of the genes that had been switched on during the fast food phase were still active. “It has only recently been discovered that the innate immune system has a form of memory”, explained Professor Dr Eicke Latz. “After an infection, the body’s defenses remain in a kind of alarm state, so that they can respond more quickly to a new attack.” Experts call this “innate immune training”. In the mice, this process was not triggered by a bacterium, but by an unhealthy diet. The scientists were further able to identify the responsible “fast food sensor” in immune cells. They examined blood cells from 120 subjects. In some of the subjects, the innate immune system showed a particularly strong training effect. In these subjects, the researchers found genetic evidence of the involvement of a so-called inflammasome. Inflammasomes are key intracellular signalling complexes that recognise infectious agents and other harmful substances and subsequently release highly inflammatory messengers. Unhealthy eating causes some of the normally hidden pieces of DNA to unwind, similar to a loop hanging out of a ball of wool. This area of the genetic material can then be read much easier as long as this temporary unwrapping remains active. Scientists call these phenomena epigenetic changes. “The inflammasome triggers such epigenetic changes”, explained Dr Latz. “The immune system consequently reacts even to small stimuli with stronger inflammatory responses.” These inflammatory responses can, in turn, accelerate the development of vascular diseases or type 2 diabetes. In arteriosclerosis, for example, the typical vascular deposits, the plaques, consist largely of lipids and immune cells. The inflammatory reaction contributes directly to their growth because newly activated immune cells constantly migrate into the altered vessel walls. When the plaques grow too large, they can burst, leading to blood clotting and are carried away by the bloodstream and can clog vessels. Possible consequences: Stroke or heart attack. Wrong nutrition can thus have dramatic consequences.